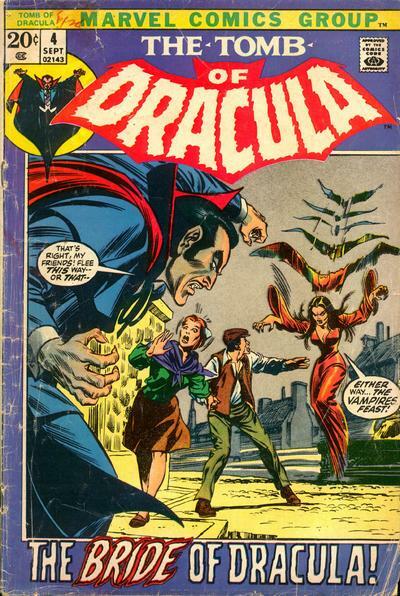 I was already fascinated with Dracula as a character, having read an abridged version of the novel a couple years earlier, so I was immediately attracted to this series when I saw it on the stands, or spinning rack, as it probably was back then. This isn't the greatest issue of ToD, or even the first one I read (that was ToD #3), but for some reason this is the one that sticks in my mind the most from those early issues I read when they first came out, right before getting out of comics for a few years. 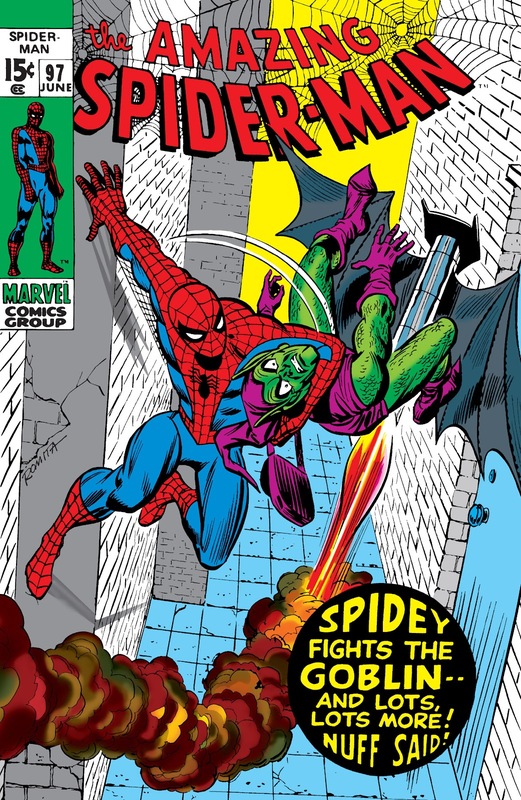 As far as I can recall, at this stage of my comics reading I still wasn't very aware of who the different artists and writers were, so I'm not sure I realised that Gene Colan was the same guy who drew a lot of those Daredevil comics I liked, but I was very taken with the artwork in this issue. Dracula himself wasn't always quite there - Colan hadn't yet hit his stride on the series - but the general atmosphere was perfect - for example, the shadowy, cluttered rooms of the Strangway mansion looked and felt appropriate to a Dracula story; and the mysterious dark mirror that provided one of the major plot hinges was a striking image that has stayed in my mind ever since reading it all those years ago. 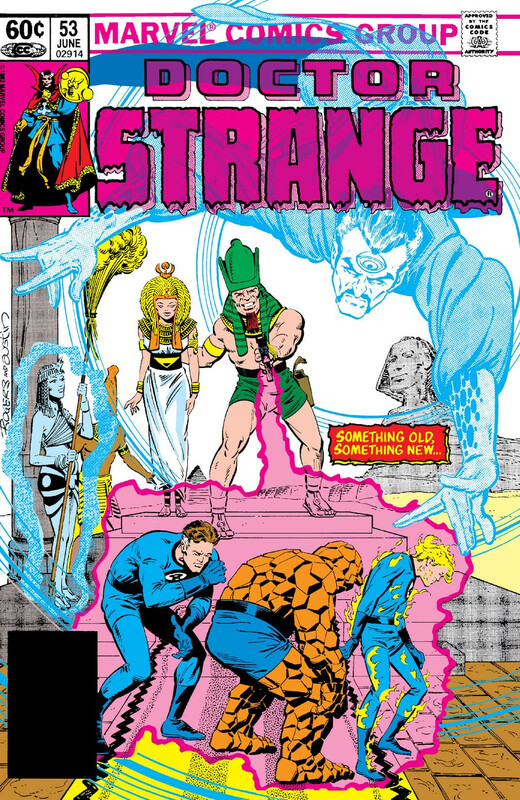 But I suppose the real reason I'm picking this is because it's the most memorable of the earliest issues of a series that became important to me after I returned to comics a few years later - looking at the series cover gallery, ToD #33 was the next issue I read. Possibly I should have went with one of those later, Wolfman-written issues, but ToD #4 (and #3 & #5) did make a serious and lasting impression back in 1972, so it isn't undeserving of a spot here in my reverse-chronological progression. A lot of the comics I got as a kid in the late 70s came not from the spinner rack, but from those polybagged three packs of comics Often as stocking stuffers at Christmas or as birthday gifts, and occasionally as a lure to get me to put up with going grocery shopping as our local super-market carried them too. 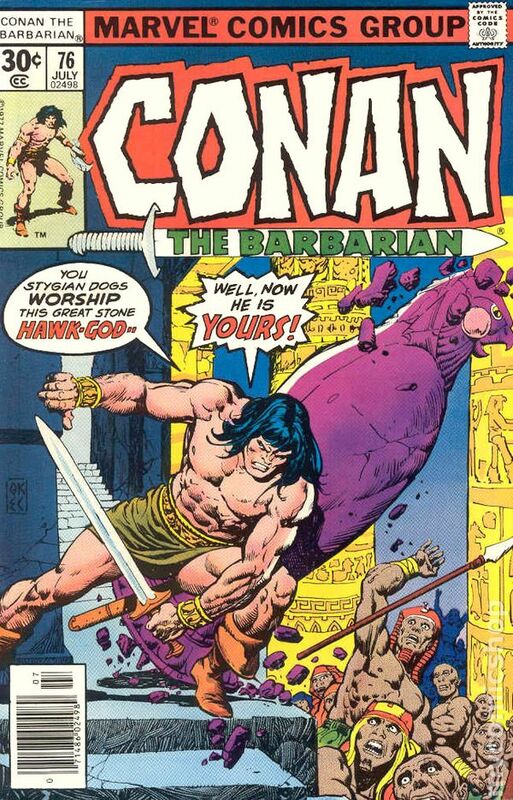 In one such 3 pack came Conan 76-my first exposure to Howard's barbarian, and it was love at first read. I read this book so many times, tracked down as many Conan comics as I could, got the Mego Conan figure soon afterwards and started borrowing my cousin's Conan paperbacks (the Ace collections and the pastiches by de Camp, Carter, Offutt and Wagner that came out in the late 70s) becoming a full fledged Conan nut, something that continues to this day, all because this was the middle comic in one of those 3 pack polybags. This just missed my 12. Janson's inks over Kanes pencils are magic. On the seventh day of Christmas, my collection gave to me...7 Goblins gliding! Another issue with immense sentimental value. I will keep the story simple, which has been told before. Online seller had this listed years ago and said there was writing on the inside. I asked what was written (as I do not mind a name here and there) and he said it said Gil Kane. Well I did not hold my breath but when it arrived...holy smokes! Gil Kane had signed it. To have something he touched, signed and on an issue that is an important part of comics history was just amazing. It is a cherished comic in my collection. I first saw this at a friend's place when I was very young and it was one of the most beautiful things I had ever seen in my life. As a kid, I had a very simple rule with funnybooks - the more heroes, the better, and a character you don't know is always better than an old familiar face. As a result of this rule, I read a LOT of Legion of Superheroes comics. The thing was, because they were mostly backup features in B&W Australian reprints (usually mostly filled with Superboy adventures), I had a limited knowledge of how it all fit together. 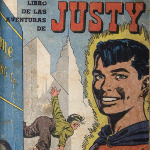 I mean, I dug that they were a team of teenage superheroes from the far future, but occasionally, they'd be dressed in cornball threads and talking a lot of 'Lost in Space' or 'Jetsons'-style space jive, and occasionally, they'd be more modern with long hair and cool sideburns and far-out costumes. Plus, of course, because the team was so damn HUGE, you'd never see All of them, so it was a mystery to me how many of them there actually were, and who the heck they were. First of all, it was full of crazy, hard-arsed science fiction concepts - time travel, alternate timelines, dystopian futures - pretty heady stuff for 7 year old me, plus, it had the heroes travel back to the present to stop an attack on the United Nations (pretty grown-up stuff for me), featured Wildfire, who was gruff and angry and didn't believe Superboy's story, but was still a good guy! (Basically, Wildfire was MY Wolverine, back when that stuff was still cool), AND it featured a superhero wedding, which even then, I knew was a Big Deal! However, even after all that, the REAL candy was at the back. Every Legion member, including Reservists like Elastic Lad, Insect Queen, Kid Psycho and Tyroc complete with sweet illustration, origins and powers. This was the moment I became a Legion Fan for life. The fact that its rare as hens teeth over here helps a whole lot too. Gots mine from Mile High in 83/84, and I think its still one of the few survivors of the great purge of '98. 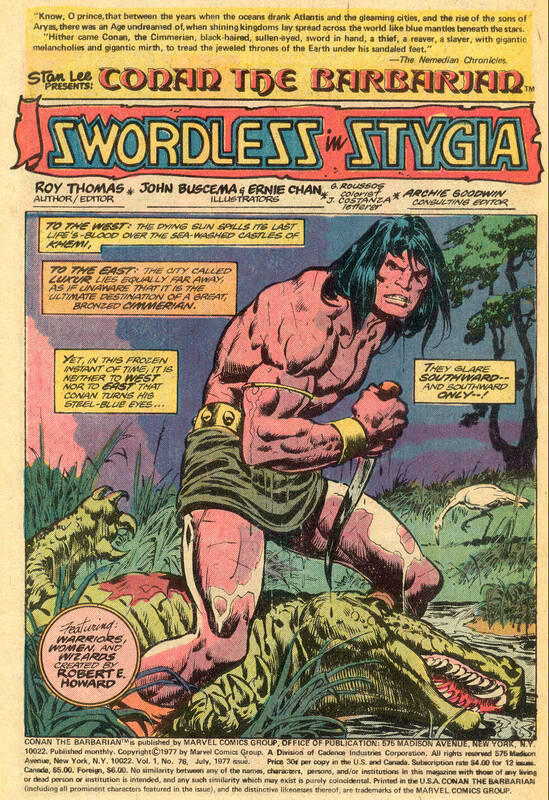 It's been a long time since I read these old Conan issues, but I remember feeling at the time that that whole storyline with Conan and the gang journeying to Stygia (forget why they were going there, now) and what happened when they finally got there, was a highpoint for the series, Ernie Chan's inks helped a lot, though sometimes just a shade smooth, perhaps, for a Conan story. 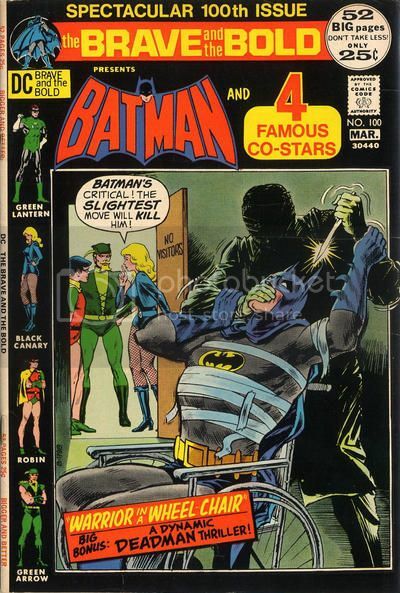 My first exposure to my favorite comic book artist, Jim Aparo, this comic fed my desire to maximize my exposure to new characters, introducing me to GA, GL, and Black Canary, all of whom were incredibly neat! It wasn't quite a perfect book--as a logo lover, I'd have preferred seeing the guest stars logos rather than the big "4", but really, that's about my only complaint (and my adult eyes are more understanding of the cleaner design afforded by the logo choice). I couldn't have asked for a better introduction to the contemporary Batman than this: in what felt like genuine peril, Batman directs his close heroic friends in a desperate life-or-death mission, finally having to defend himself while strapped to an operating table! And then, as a huge bonus, a Deadman reprint! The very idea of a hero called "Deadman" blew my young mind, but the story and art were top-notch. Five of the most appealing character designs in such a high-quality package made this comic one that really sealed my destiny as a comic book collector. No question this is not only one of the greatest horror titles of all time, but also one of Marvel's greatest and one of the best of the 70's IMO. If you don't care too much about condition it shouldn't be a big deal. I got my copy for $2. 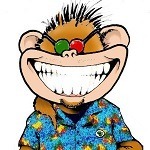 I, too, remember this as one the hardest Aparo’s to find. Neal Adams had a story in it, putting its price out of my range. The pre-internet days. How times have changed.